See links below for the answer! An Air New Zealand flight was forced to make an emergency landing at Palmerston North airport after an engine failed 10 minutes into a flight. Come Fly Air New Zealand! Choose where you want to crash: The Antarctic, or Mediterranean sea. How safe is your flight? What Exactly Airlines Doing to You? India: Civil Aviation regulator DGCA has found about 964 deficiencies, mostly in safety, in the operations of domestic and international airlines this year, of which 289 concerned Air India, 660 carriers and 15 from foreign airlines. Four Brits recovering after their holiday plane crashed into control tower on a Thai island. Should the Airbus Be Grounded? According to several models the “ceiling” under current conditions for the period in question is between 40 and 50. Airbus A320 airliner has crashed. Both Airbus and Germanwings have said they aware of the reports but cannot yet confirm them. Twenty Airbus A380s will have to undergo checks for cracks in their wings, the safety regulator has said. The mid-air emergency took place when the A330-200 carrying 147 passengers and 11 crew was flying from Manila to Sydney. 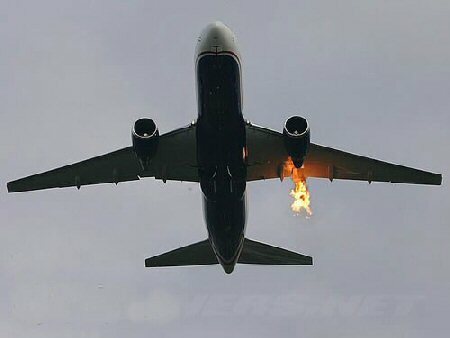 The new aircraft ran into trouble when the pilots noticed flames in the flight deck and passengers experienced a very strong burning smell coming from the cockpit. QANTAS is involved in another air safety investigation after a near miss involving one of its aircraft, a Boeing 767, with a Virgin Blue Boeing 737 over Melbourne’s northern outskirts on Sunday. Air New Zealand Luck running Out! Please link image to URL below. Thanks TEAA – interesting news! WASHINGTON (AP) — On at least a dozen recent flights by U.S. jetliners, malfunctioning equipment made it impossible for pilots to know how fast they were flying, federal investigators have discovered. A similar breakdown is believed to have played a role in the Air France crash into the Atlantic that killed all 228 people aboard in June. The discovery suggests the equipment problems are more widespread than previously believed. And it gives new urgency to airlines already scrambling to replace air sensors and figure out how the errors went undetected despite safety systems. The equipment failures, all involving Northwest Airlines Airbus A330s, were brief and were noticed only after safety officials began investigating the Air France crash — on a Rio de Janeiro to Paris flight — and two other recent in-flight malfunctions. The failures were described by people familiar with the investigation who spoke only on condition of anonymity because they were not authorized to comment publicly. While a car’s speedometer uses tire rotation to calculate speed, an airplane relies on sensors known as Pitot tubes to measure changing air pressure. Computers interpret that information as speed. And while a car with a broken speedometer might be little more than an inconvenience, many airplane control systems rely on accurate speed information to work properly. French investigators have focused on the possibility that Flight 447’s sensors iced over and sent false speed information to the computers as the plane ran into a thunderstorm at about 35,000 feet. The most recent was on June 23, when a Northwest flight hit rain and turbulence while on autopilot outside of Kagoshima, Japan. According to an NTSB report, speed data began to fluctuate. The plane alerted pilots it was going too fast. Autopilot and other systems began shutting down, putting nearly all the plane’s control in the hands of the pilot, something that usually happens only in emergencies. ”These two cases we know were dealt with effectively by the crew, and we think this happened in Air France and maybe wasn’t dealt with effectively,” said Bill Voss, president of the Flight Safety F,oundation in Alexandria, Va., an aviation safety think tank. Morgan Durrant, a spokesman for the only other U.S. airline that operates A330s, US Airways, said it had not seen similar problems in its 11-plane fleet of the jetliners. Delta/Northwest and US Airways recently completed replacing older Thales tubes with new Thales tubes. The companies say they are now replacing them with Goodrich tubes. In June, the Air France pilots’ unions urged its members to refuse to fly Airbus A330s and A340s unless their Thales sensors had been replaced. The Federal Aviation Administration hasn’t issued a safety directive, but spokeswoman Laura Brown said the agency hopes to have one soon. NEW DELHI: An Air India flight from Delhi to Hyderabad, with 74 people on board, on Monday landed at the IGI Airport here under emergency conditions as the pilot suspected technical trouble, airport sources said. Emergency drill, including positioning of fire brigades and ambulances, was followed after the pilot informed the air traffic control (ATC) that he wanted to land as the cockpit panel had signalled problem with the hydraulic system of the Airbus A-320, t he sources said. The Delhi-Hyderabad-Tirupati flight, IC-942, made a “normal and safe” landing at 1141 hours and went “on its own power” to the bay earmarked for it where all the 68 passengers and six crew members disembarked, an airline spokesperson said. The pilot decided to return to Delhi instead of flying to Hyderabad, after being on air for about 30 minutes when the indication about hydraulic problem appeared on the panel.